You know that saying, “When in Rome, do as the Romans do”? I’ve been to Rome on numerous occasions, many of which included the jam-packed, but obligatory sightseeing activities. it wasn’t really until the past couple of trips that I got a true taste of Roman cuisine and oh me. oh my. now that I have tasted it, I will never be the same again. My most recent trip to Rome was for the sole purpose of understanding authentic Roman cuisine. As many of you know, Rome was the second stop of my Grand Italy Food Tour, a three-week gastronomic journey through Italy. Thus, my 5-day stop Rome was a true eating extravaganza. I quickly sprinted passed the Colosseum, Trevi Fountain and Pantheon in search of the best foodie things to do in Rome. Yes I was THAT girl, whipping out my camera every time it was time to eat (SO annoying, I know, but that’s the life of a food blogger my friends). If you’re visiting Rome and you’re the kind of person whose heart skips a beat at the sight of food or you’d simply rather stuff your face with pizza than visit yet again ANOTHER beautiful church (trust me, they are all beautiful. Just visit a few. ;)), then this is the Rome guide for you. Visiting fresh food markets in Italy is one of the best ways to not only get a glimpse into daily Italian life, but it’s also great to have a visual overview of which ingredients are fresh and in season. Even if you won’t be cooking and don’t need to buy anything, a quick stroll through a market can be extremely helpful to decipher ingredients on menus later on. One of my favorite open air markets in Rome is Mercato Testaccio. They sell all sorts of fresh produce, meats, fish, cheese, but also have several great takeaway stands inside (Mordi e Vai & Supplizio). Not too far from Mercato Testaccio is a fabulous deli called Salumeria Volpetti which specializes in all sorts of gourmet cheese, cured meats, and other prepared foods such as fresh pasta and pizza bianca. Another great, very authentic open-air market is Mercato Trionfale, located just outside Vatican City. This market is a little bit more on the ‘raw’ side, but is a favorite among locals. Food tours are a great way to get acquainted with typical Roman cuisine without having to spend a whole lot of time or money. Last time I was in Rome I took a food tour through The Roman Guy tour company. They offer several different upbeat food tours Rome, including the Trastevere Food Tour and a Cocktail bars tour. Their food tours will give you the basic rundown of everything you need to know about eating in Rome and in Italy, such as how to know if a restaurant is a tourist trap and how to decipher what’s really authentic on the menu. For this, I recommend that you do this tour at the beginning of your trip in Rome as you’ll be able to use the tips you learned on the tour during the rest of your stay. 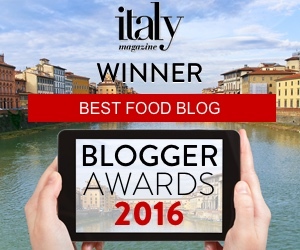 They also have LOADS of great articles on where/what to eat in Rome on ther foodie blog, The Roman Foodie. On the Trastevere Food Tour, we got to enjoy 6 stops with 6 tastings throughout the Trastevere district. All of the tastings were pretty darn delicious and authentic, such as cheese samples, fried codfish, pizza, gourmet bruschetta, samples of Roman pasta, fried artichokes, LOTS of wine and an amazing gelato at the end. The tastings were spread out over a 3-hour period and there was a bit of walking in between each stop, so we had time to digest slowly. Still….you’ll want to go on an empty stomach! When I visited Rome, I really wanted to learn the secrets of how to make at least one Roman pasta dish. So I decided to sign up for a cooking class with Cooking Classes in Rome. The chef, Andrea Consoli, is a professionally trained chef (he attended Gambero Rosso) and so his recipes were very precise. His classes are fast-paced but fun as you get to make a full course meal (we had 5 courses). He adapts the menu to the group so if you have any special requests he can usually work that into the menu. I have to say that the Spaghetti Carbonara we made was the best I ate while in Rome (even better than some of the restaurants). The groups can get quite large (we had 10 people) so some of the explanations were lost as everyone was working on different dishes. Nevertheless, Andrea sent us all the recipes after the class so if you miss something you can always refer back to that. Even if you’re more of an ‘eater’ than a ‘cooker’ I would still recommend this class as some of the food we made was just as good if not better than restaurant quality! Another bonus? It was super affordable! Street food has become a popular eating tradition in Rome. Since Italians eat dinner quite late (usually around 8:30-9:00pm) having a snack throughout the day is a must. Thus, the popularity of street food. While pretty much anything that can be eaten while walking down the street is considered street food, the typical Roman snacks include suppli (oval-shaped fried rice balls), pizza bianca (plain white pizza) and baccala fritta (fried salted codfish). Favorite street food eateries include Mordi e Vai (revolutionary veal, tripe or meatball panini) Supplizio (suppli, or fried rice balls), Trapizzino, (unique triangular panini/pizza served in a cone), Dar Filettaro (fried baccalà codfish), and Pizzarium Bonci (gourmet pizza by the slice). Check out the bottom of this post for locations, opening times and other useful information. Rome is famous for three different pasta dishes: Cacio e Pepe (pecorino cheese and black pepper), Carbonara (eggs, Italian bacon, pecorino cheese) and Amatriciana (tomato, onion and Italian bacon). I don’t know what it is about Roman pasta (actually, I do know. It’s the copious amounts of cheese. It’s always the cheese) but it is absolutely some of my favorite in the world. I ate pasta at least once (sometimes twice) a day for every day I was in Rome, always sticking to the classics because they are THAT GOOD. While there are so many great restaurants for pasta, I personally recommend Da Cesare in Casaletto (Cacio e pepe is THE BEST EVER), Da Felice in Testaccio (another superb Cacio e Pepe) and Flavio Velavevodetto (great for every type of pasta, but the carbonara and amatriciana are notable). I’m sure there are many others that I haven’t tried, but those are my personal favorites as well as at the top of the list among many other food bloggers in Rome. Mercato Testaccio (Via Beniamino Franklin) – Relatively new market in Testaccio district offering fresh produce, meat, cheese, fish and take away food. Mercato Trionfale (Via la Goletta 1) – Older, but super authentic market not too far from the Vatican (off the Cipro metro stop). Mordi e Vai (Inside Mercato Testaccio, Via Benjamin Franklin) – Take away Roman-style sandwiches with fillings such as cacio e pepe or carbonara veal, meatballs, and sausage. Supplizio (Inside Mercato Testaccio, Via Benjamin Franklin) – Specializes in suppli – fried rice balls that come with different flavors, such as the classic tomato and cheese or with Roman broccoli. Trapizzino (near Mercato Testaccio, Via Giovanni Branca 88) – Serves a ‘trapizzino’, a new invention that has combined the tramazzino (triangular sandwich) and pizza. Trapizzini come with all sorts of different fillings.